Consolidating your everyday carry is always a good idea, since anything that leaves more room in your pocket can only be a positive. That’s exactly what Ippinka MKC Wallet does, as it combines your wallet and keychain into a single tool. 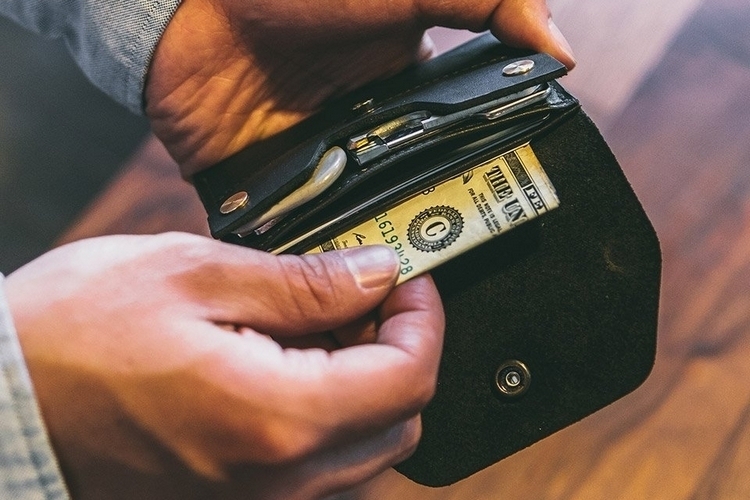 A more versatile wallet, it can hold cash and cards just like your current favorite bi-fold, all while also having facilities to hold keys, USB sticks, and other keychain tools. 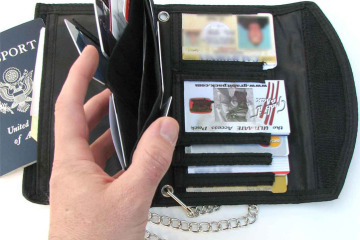 Even better, the keys and tools can be flipped out of the wallet like a classic Swiss Army Knife, allowing you to use them without having to remove anything from their place. The Ippinka MKC Wallet contains three separate pockets – one for your cash, one for your cards, and another for your keys. The cash and card pockets are, pretty much, interchangeable, so you can use them for both, while the key pocket comes with two integrated bolts where you can secure keys and any kind of tool with an eyehole on the head. 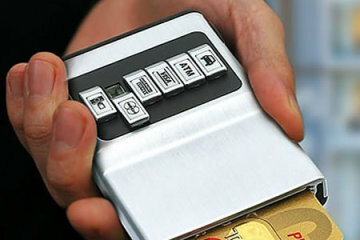 According to the outfit, it can hold up to eight keys, along with a generous combination of cards and cash. 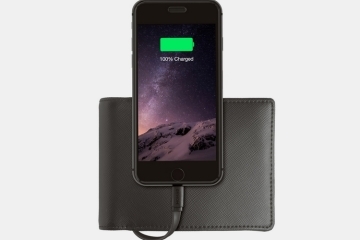 It comes in two versions: one with a flap cover and another without, both of which are made in supple leather in either black or vintage brown. 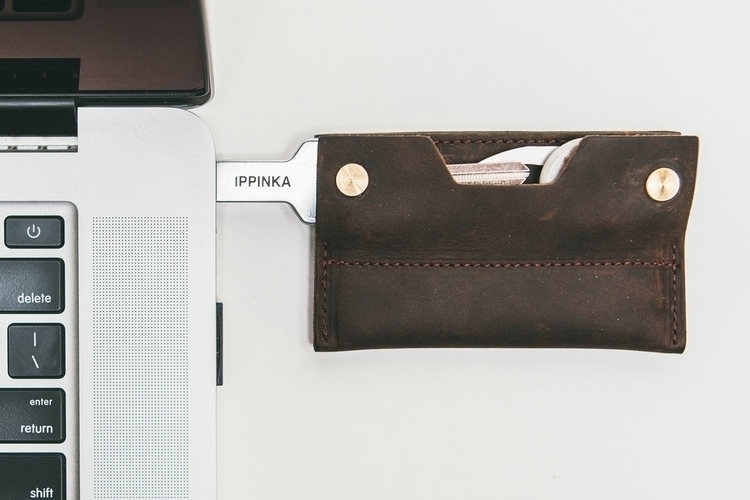 Ippinka, by the way, also sells two tools designed for use with the wallet, namely a bottle opener and a 16GB USB flash drive, although you can use any keychain tools you own in their place. 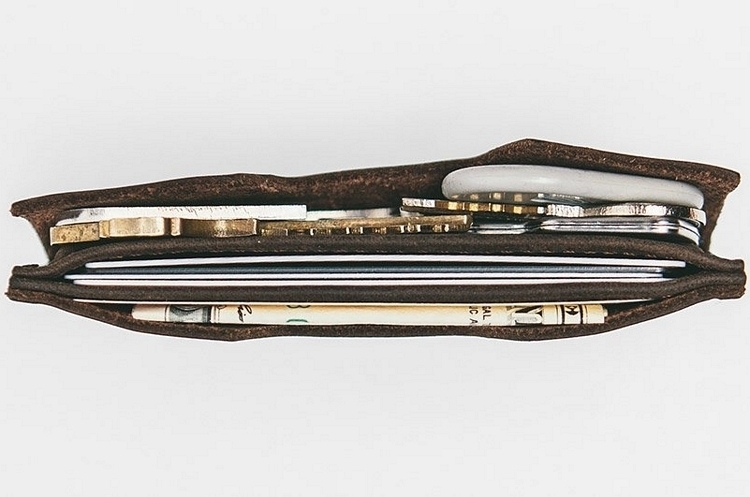 A Kickstarter campaign is currently running for the Ippinka MKC Wallet. You can reserve a unit for pledges starting at CAD$62 (around $45). 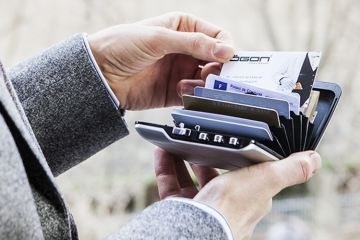 I cannot stand a bulky wallet and this looks like it would be the perfect solution for that! I could make duplicates of my keys to have in the wallet and in many cases would not have to bring all my keys with me on a short trip. Yet another cool find! I have seen the keyrings that do this but never a full on micro wallet! I would even be keen on using this seeing as I don’t like to take my purse everywhere with me. I am going to check out their kickstarter page. The price is a bit high but if it is well made, it is worth the investment. The Ippinka MKC Wallet looks like a Leatherman multi-tool. I don’t mind the idea of combining my wallet and keychain. What I wonder about though is if it would be uncomfortable wth my keys in it when I sit down. The key fob for my car is expensive and it also seems like it might get damaged if I have it sitting in the back pocket of my jeans. On the Kickstarter page the image shows the man placing it in his front pocket. That would work, but I still prefer the traditional back pocket. As far as looks, the Ippinka MKC Wallet is beautiful. 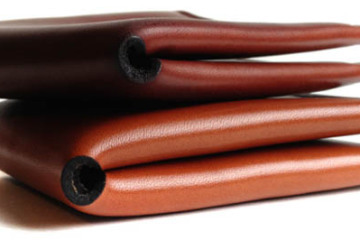 The full-grain leather will look even better as it ages. I like that it has a bottle opener in it. You can also order this with or without a flap. I would definitely go with the flap for more security if I was to order one. 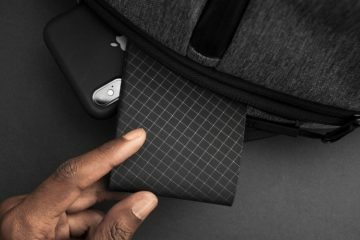 Is there enough demand for a multi-tool style wallet? I’m doubtful they will hit their goals on Kickstarter but I wish them the best of luck. I should get the Ippinka MKC Wallet would be perfect for my husband. He’s always losing his keys or his wallet and it drives me bananas. It’s still in KickStarter so I’ll have to wait a bit before it goes into production. I wonder though, how easily do the keys come out of the wallet? I really wouldn’t want him to have the keys in the ignition with his wallet hanging off. I read somewhere that it is bad for your car’s ignition to have a lot hanging off your keys. I really like that you can connect a flash drive to the Ippinka MKC Wallet. My husband isn’t fully integrated with Google Drive like I am, so this would be very helpful. He’s lost flash drives in the past because they’ve fallen off his keys. I think with them in his wallet, it won’t have anywhere to go and he could catch it in time.